Italy, a European country with a long Mediterranean coastline, has set a powerful mark on Western culture and cuisine. 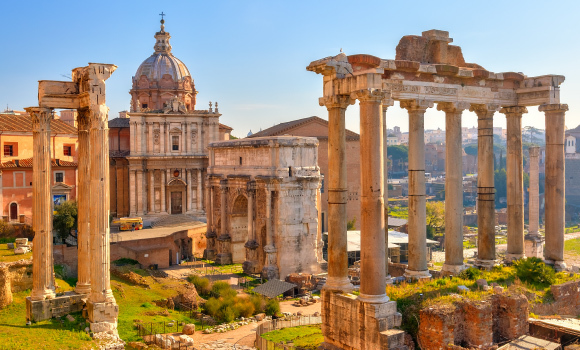 Its capital, Rome, is home to the Vatican and the landmark for art and ancient ruins. Austria is a country in Central Europe also known as a German speaking country, characterized by mountain villages, baroque architecture, Alpine terrain and rugged Imperial history. Liechtenstein is known for its medieval castles, alpine landscapes and villages linked by a network of trails. It has a 25km-long principality between Austria and Switzerland. 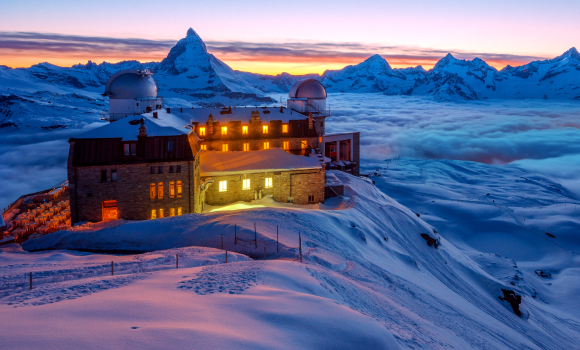 Switzerland is a mountainous Central European country, home to numerous lakes, villages and the high peaks of the Alps. Paris France’s capital, is a major European city and a global centre for art, fashion, gastronomy and culture. In the morning, we have a scenic tour of the city, which will be a great introduction to “The Eternal city”. We enter the tiny state of the Vatican. The Vatican City is a principal centre of Christianity in the world. You will be able to visit St. Peter’s Basilica. And we have also included admission to the Roman Coliseum, the principal symbol of Rome. This impressive con¬struction dates back 2,000 years and will transport us in time so that we can learn about ancient society in the Roman Empire. In the evening we provide transport to the Via Cavour area, where you will find restaurants serving Italian, Indian, Chinese and interna¬tional food. Return to hotel. Venice - Verona - Zurich. We will depart from Venice, travelling to VERONA. We will provide a shuttle from parking to the historic centre. Our guide will instruct us on the places where you will be able to walk in Romeo and Juliet’s city - the city of lovers! Afterwards we continue the journey to Switzerland. Very beautiful lakes and mountains with snow-capped peaks line our route. Arrival in ZURICH. Free time in the historic centre next to the lake, where you will be able to dine in your chosen restaurant serving Italian, Indian, Chinese, international or Swiss food. Zurich - Grindelwald - Lucerne - Zurich. Zurich - Burglen- Lugano- Morcote - Milan. We travel to BURGLEN, the tiny village where William Tell was born, we shall see the chapel of the XVI century with paintings illustrating his life. We continue to LUGANO the cosmopolitan capital of the Italian Switzerland with its beautiful lake. Time to stroll and have lunch. Afterwards, following the shores of the lake, we reach the enchanting little town of MORCOTE, with its houses made of stone, and covered with flowers. Milan - Pisa - Rome.